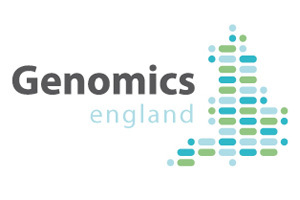 A drive by the UK to become a leader in personalised medicine got underway last week with the official launch of Genomics England, a government-led organisation that will coordinate DNA mapping activities. With an initial focus on rare and infectious diseases and lung and paediatric cancer, the new group will be run and funded by the Department of Health (DH) and will manage contracts for specialist UK-based companies, universities and hospitals to supply services on sequencing, data linkage and analysis, and also set standards for patient consent and data protection. UK Health Secretary Jeremy Hunt said the aim is to develop an integrated healthcare system with whole-genome sequencing linked to patient diagnosis, treatment and care. "Genomics England will provide the investment and leadership needed to dramatically increase the use of this technology and drive costs down," he said while launching the initiative on the 65th anniversary of the NHS. The UK government first unveiled the £100m project last December, saying the aim was to map the genomes of up to 100,000 patients suffering from cancer and rare diseases, build the secure IT systems needed to make use of the data within the NHS and train a new generation of British genetic scientists. Genomics England will be run by Sir John Chisholm, former chair of the UK's Medical Research Council (MRC), who said the project "will create a dataset of anonymised whole genome sequences matched with clinical data at a scale unique in the world". The UK has introduced a series of measures aimed at restoring the country's position at the forefront of life sciences research, with a £181m package of measures put forward last year to support the sector, including funding to help smaller drug developers bring promising early-stage projects into clinical trials. The year since the launch of the new strategy has seen around £1bn-worth of inward investment, including high-profile projects such as GlaxoSmithKline's new £530m manufacturing facility in Cumbria. The launch of Genomics England was warmly welcomed by the Association of the British Pharmaceutical Industry (ABPI). The trade body's chief executive Stephen Whitehead said the initiative "will help the life sciences sector better understand the genomic make-up of patient populations which will in turn further our understanding of disease and the way we develop medicines". The new drive has also raised concerns in some quarters about issues relating to patient privacy, however. Edward Hockings of bioethics organisation Ethics And Genetics recently published a report suggesting the UK's new privacy framework fails to adequately safeguard highly sensitive information and questions the use of personal genomics data for commercial gain. NHS users can now be contacted by default to take part in clinical trials with private companies, without having expressed an interest in taking part in research, he argues, and pharma companies "will now be able to trawl through identifiable data in order to identify relevant candidates to take part in clinical trials".